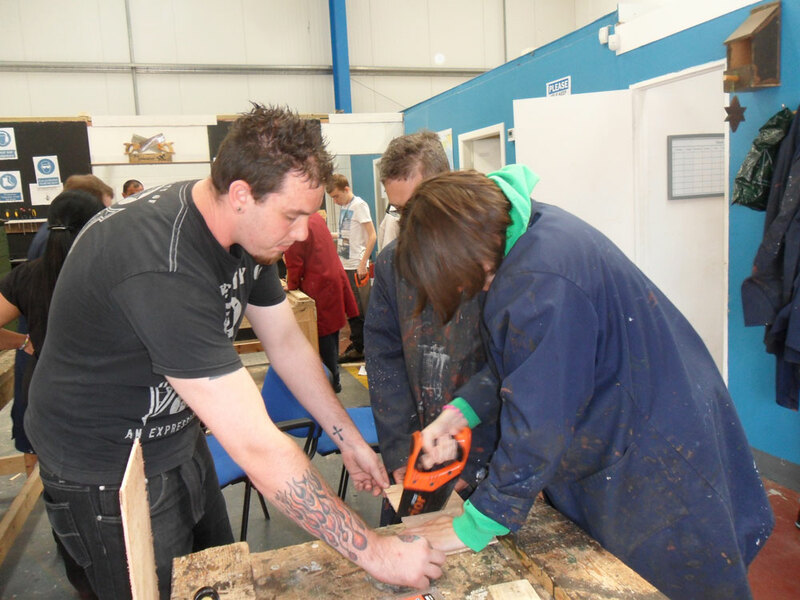 May 2016 has seen a brand new flexible, fun, and fully supported day provision for young adults 16-24 and adults 25+ with mild to moderate learning difficulties/disabilities, brain injuries, autism and/or mental health open in Great Barr. Beating the trend of big funding changes that continually reduce the number of vocational learning places available to adults 16+ is our aim. We’ve witnessed, on many occasions over the past 20 years, that adults who learn differently can enjoy greater independence, improved wellbeing and many more life choices, hence beating funding changes is imperative to us. We feel it is crucial these funding changes don’t take away the positive changes we’ve seen in 100’s of students’ lives during the last 20 years. It is our belief that, “adults who learn differently can enjoy; greater independence, improved wellbeing and many more life choices as well as make massive strides forward with their lives and achieve outcomes they initially thought were beyond them”. To thwart some of the impact of ever reducing services, the directors of Care First Limited are launching a totally new day provision via a brand new ‘not for profit’ community interest company (CIC) called Community Prospects CIC Limited. Community Prospects CIC will continue with this tradition of replacing frustrated frowns with contented smiles, boosting learners feelings of self-worth and helping families enjoy greater harmony. As we believe, with patience, belief and guidance everybody can learn, everybody can participate and everybody can contribute to making this world a happier place. 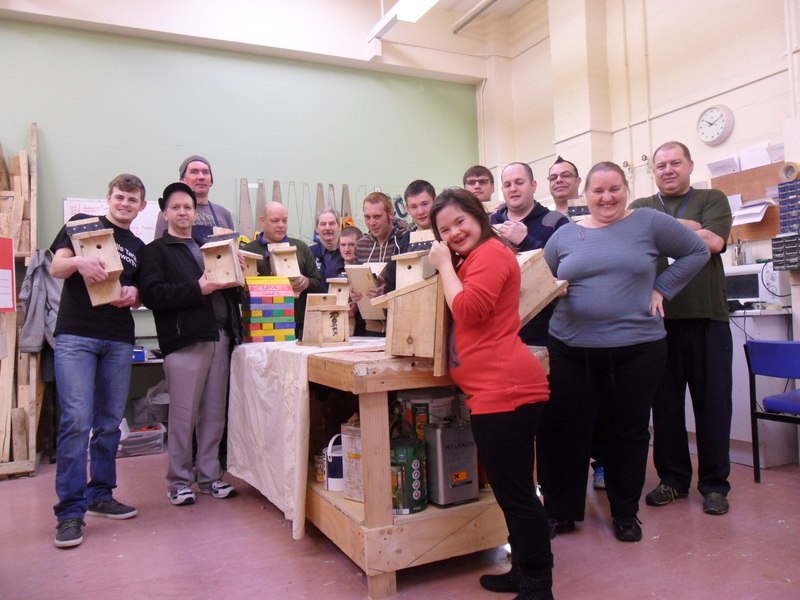 "Creating Bird Boxes For The Wildlife Trust"
"Designed, built and painted a large jenga puzzle for a special school"
"Help and Guidance In The Woodcraft Workshop"
Designing and building bird boxes, bird tables, insect hotels, and hedgehog homes. Working with wildlife trusts to place bird boxes in key breeding areas. Transforming dull tired furniture into ‘Shabby Chic’. 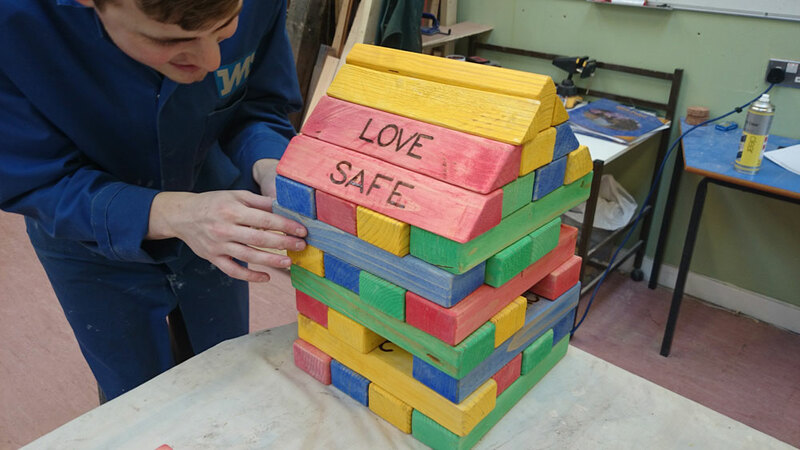 These projects will be available in our workshops – please note all our service users will be supported by our caring staff that’ll create safe and friendly environments. All staff are fully DBS checked and we have in place clear safe guarding and risk assessment policies to ensure the person you care for is in good, safe and professional hands. 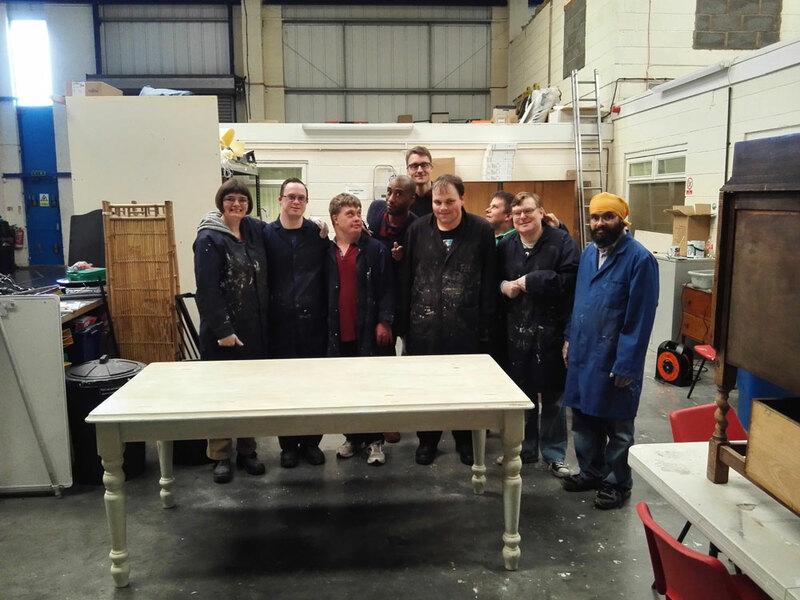 "Dull and Old Furniture into Shabby Chic"
The workshops are open Monday to Friday 10:00 – 3:30 p.m. and service users can come 1,2,3,4 or 5 days a week Monday – Friday. Please note: a service user doesn’t need to have any ability, qualifications or experience to try out any activity. Can you choose the activities you want? Yes you can. We’ll ask you to complete a ‘holistic assessment’ to understand what your individual needs are and what you’d like to do. 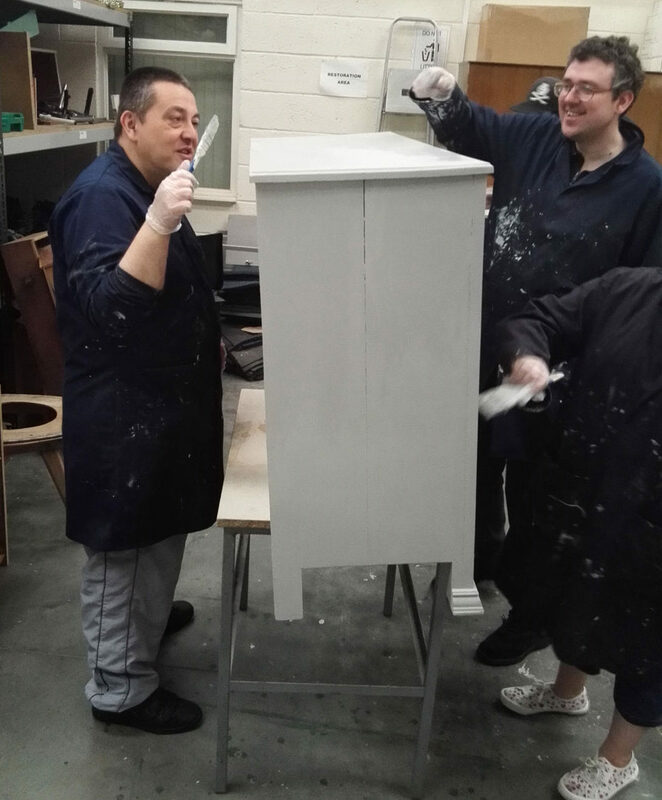 "From Dirty To Sparkling Clean In No Time"
The cost is from £45.00 per day-we aim to be excellent value for money and promise to provide worthy support, learning opportunities and advancement in personal development. For a No Obligation Information Pack or to Refer into this service please call Del on 0121 358 8150 or to download further details or request us to send you an information pack by Royal Mail please click here and leave us your details – thank you. 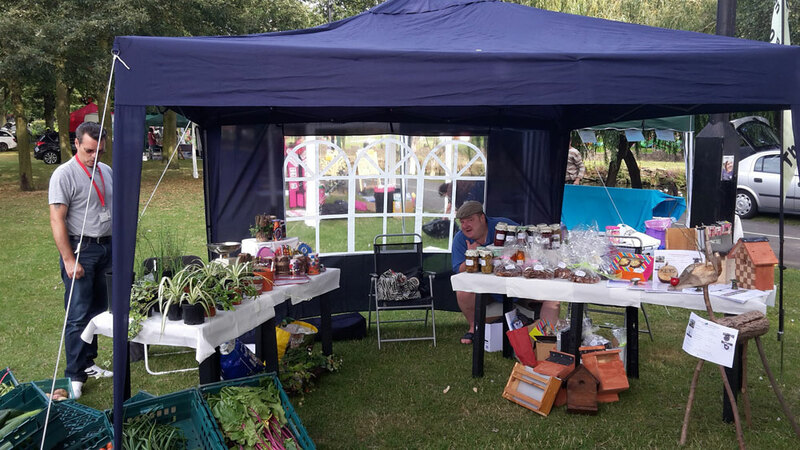 "Wow-This is What We Do All For Sale At Community Events"